So, you have your heart set on having a French Bulldog in your life and you are wondering how much one will cost. There are a lot of things to consider when you choose a Frenchie to be your companion animal. It is not just what it costs to buy a puppy that matters, although this is in itself a very high cost. It is also all the factors involved in raising a healthy French Bulldog. The French Bulldog puppy is one of the most expensive puppies you can buy. Whether you get your pup from a breeder or a shelter, you will need to know the general costs of a Frenchie and why they are so expensive. Especially, since you want your French Bulldog to live a good long life, not get terminally ill when they are six instead of 10 or 12 years of age. 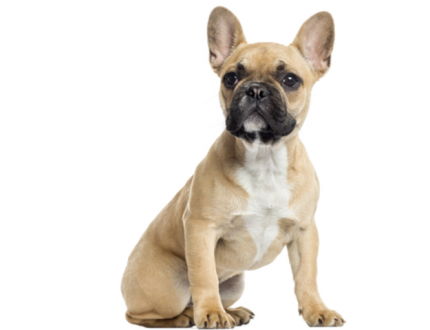 When purchasing a Frenchie, it can cost from $250 to $5,500 depending upon who you buy it from. There are other factors involved as well but the most prominent French Bulldog cost is who you buy it from. From a reputable breeder, AKC registered in “normal” French Bulldog colors runs over $5,500. Frenchie from a backyard breeder or puppy mill with no AKC registration in “normal” colors runs about $1,200. From a rescue or a shelter, with or without AKC registration can run $250 to $550. These are hard to find. The French Bulldog is very popular and in demand. All French Bulldogs give birth by C-section and this greatly increases the cost. Of all these factors the one that makes the most impact on the cost of the puppy is its color. 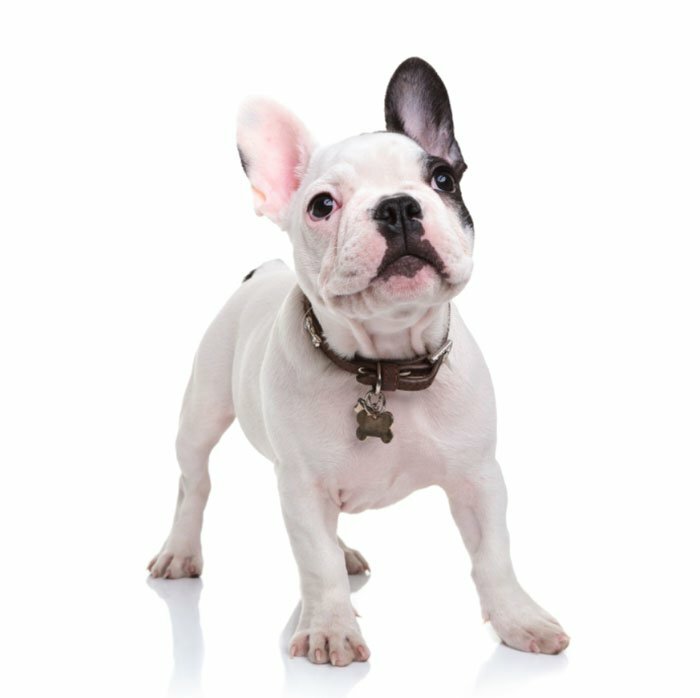 If you are purchasing your pup from a reputable dealer than you will have the opportunity to buy a black, pied or crème colored French Bulldog. These dogs cost from $2500 to $5,500. 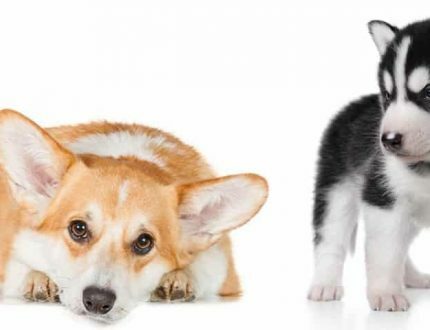 The same color dog from a backyard breeder might cost $1,500 to $4,000 but won’t be of the same quality. If you can find a French Bulldog at a rescue or a shelter, you would pay about $550 to adopt it. Reputable breeders do no sell dogs that are rare colors like blue, fawn, blue brindle, chocolate fawn or blue fawn. If you find a breeder selling these, you will have to pay around $10,000. A really rare dog that is lilac in color could cost from $15,000 to $30,000 for one pup. These rare colors are not always healthy and not good for the future of the breed. No reputable breeder will sell you one. Finally, you might see breeders advertising Tea Cup Frenchies for $3,500 to $5,000. These Tea Cups are not true French Bulldogs so don’t be fooled. They are what is being called a “designer dog”, but in reality, they are simply a mixed breed. The AKC does not recognize them as a pedigree dog at all. If you are going to spend upwards of $5000 for a pedigree French Bulldog from a reputable breeder, what are the extras you can expect to receive? A written contract from the breeder with certain health tests completed and a promise to take the puppy back if you can’t keep him for any reason. Certified veterinarian exam with deworming, current vaccinations and health at time of purchase. AKC registration paperwork and genetic lineage. Clearances and test results for the PFA patella evaluation, the Orthopedic Foundation for Animals and the Canine Eye Registry Foundation. This should cover all of your pre-purchase costs and expectations. Now what happens once you get your puppy home? Your French Bulldog puppy is now yours and on its way to your home. What is it going to cost to take care of it through hopefully 10-12 years of a healthy and happy life? The unfortunate news is the Frenchie is as expensive to raise as he is to buy. This is because of all the potential health issues they can have through out their lives. Many of these issues are brought on by their facial structure and condition known as brachycephalic airway syndrome. Like any other dog, you will have living expenses like food, treats, grooming, boarding, toys, accessories and routine annual vet visits. In addition, to these expenses, the brachycephalic airway syndrome can cause many more medical expenses. Average costs without this extra medical run around $700. With the additional vet expenses the cost of living with a French Bulldog can be substantially higher. The brachycephalic airway syndrome can cause severe breathing difficulties for the French Bulldog. It can affect their tolerance to heat and to the pressurization in an airplane when flying. Other issues that can be caused by this syndrome are a collapse of the larynx, an elongated soft palate and a narrowed nasal cavity. There are other health issues that the Frenchie faces as well, including eye issues, malabsorption disorders or spinal malformations. All of which can increase costs for veterinary services. Beyond this you may have expenses for shipping your puppy from its breeder to your home. Depending on the method of shipping and the distance, this could run you another $300 to $600. You will need to provide your puppy with some professional training at least for beginning obedience and this could run from $50 to $200. You can see that it is not cheap to share your life with a French Bulldog. These are great little dogs that make the best companions, if you can afford the expense of having one. The Frenchie lives about 10-12 years and you could really rack up the expenses in that time. However, if you really want a French Bulldog and you can afford one, then you need not be concerned with cost. If you are going to invest in a French Bulldog, get one from a reputable groomer, that has a good genetic lineage and is AKC registered. You might still run into some of these additional medical costs, but they are likely to be less than a pup you get from a backyard breeder. 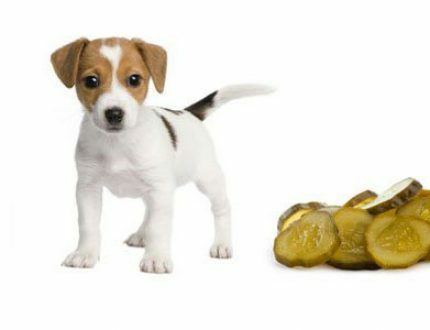 Can Dogs Eat Pickles? How To Serve It?